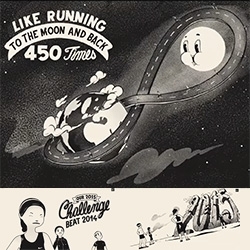 "Outdo You in 2015 with Nike+" - Beautiful campaign from Nike and French illustrator-director McBess. Stunning video. And they even created 100,000 customized videos for Nike+ users!